Stupidly, at the beginning of March, I agreed to a ‘Dechox’ along with my colleagues in the English Department. I won’t lie: I love chocolate. However, I also believe in giving to charities and the ‘Dechox’ is being observed in order to raise money for The British Heart Foundation. A few days passed and I was beginning to get a little bored of eating crisps with my nightly cup of tea. Crisps just don’t cut it when it comes to dunking treats into your cuppa. 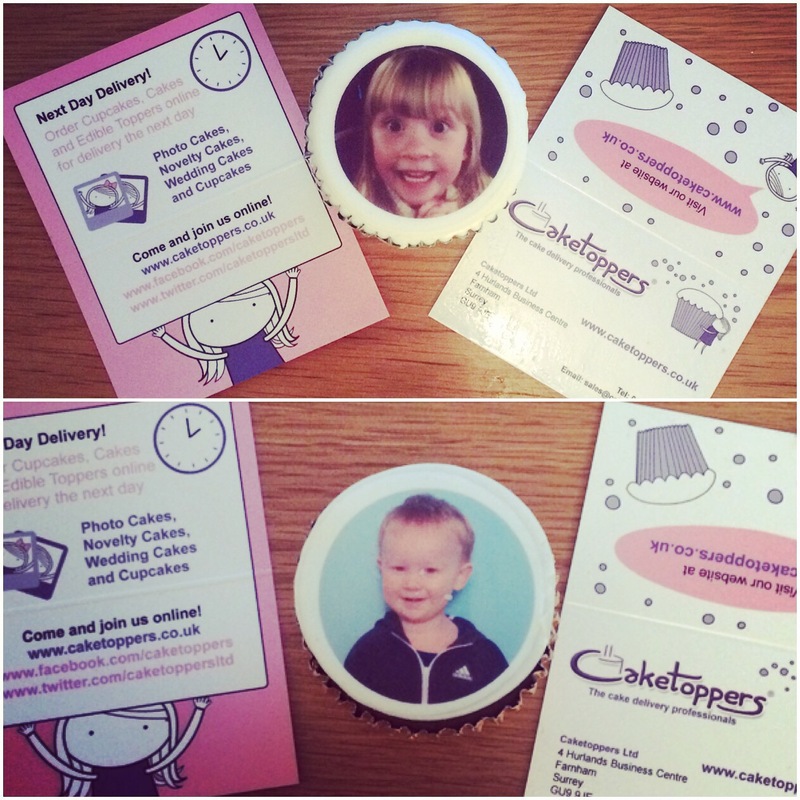 Thankfully, I received an email from Caketoppers – a company that makes, bakes and creates personalised cakes and cupcakes – asking me if I would like to try two of their personalised cup cakes. 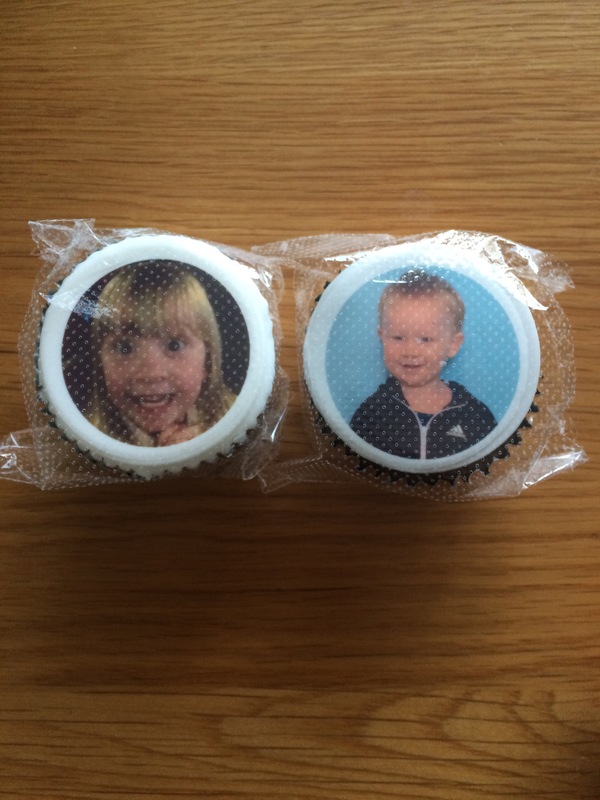 Was I going to feel guilty or a least a little weirded out at the thought of eating two cup cakes that had my children’s faces decorated on them? Immediately, I replied and the following week I received a note in the post. There had been an attempt to deliver the cupcakes, but they were being held at my local post office, which I wouldn’t be able to reach until the evening of the following night. They’ll be ruined, I thought. But, they weren’t! 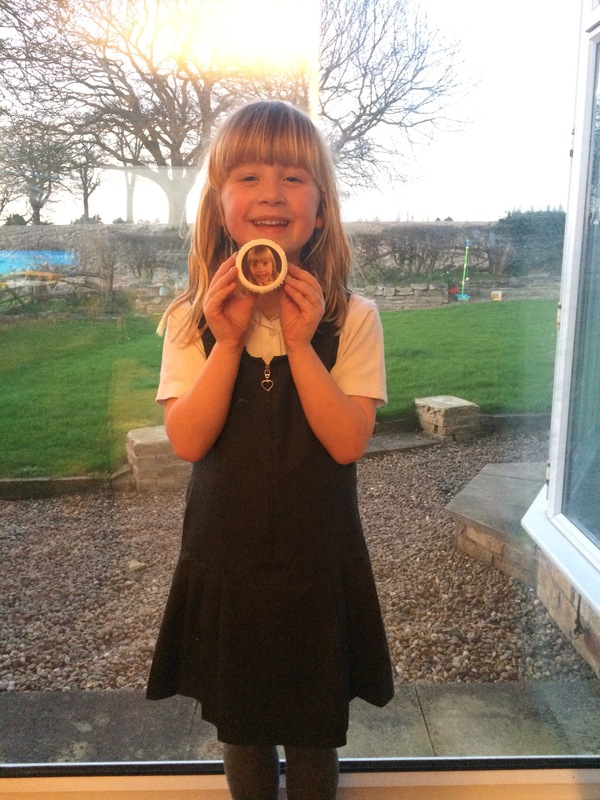 The following evening, after I had picked up my package, I opened the cakes to find that they were each individually wrapped with one featuring a picture of my son and the other had my daughter’s grinning face on it. However, there was a problem…one of them was chocolate. With this in mind, my daughter and I shared the sponge cake cupcake and my son and Daddy shared the chocolate cake. I thought the cupcakes would have been going stale due to being packed away in a Post Office all night, but I couldn’t be more wrong. The sponge was soft and springy and the icing (my favourite bit) as gooey and thick. 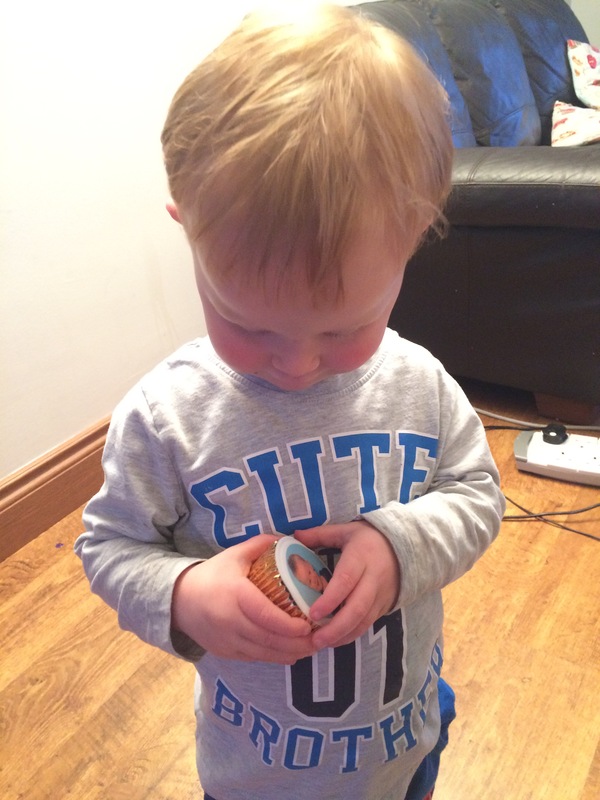 We all really enjoyed them and their a great idea for a simple personalised gift. So, if you’re after something a bit quirky or if, like me, you can’t eat chocolate for the foreseeable future (well, until the 1st April), you should give Caketoppers a try!